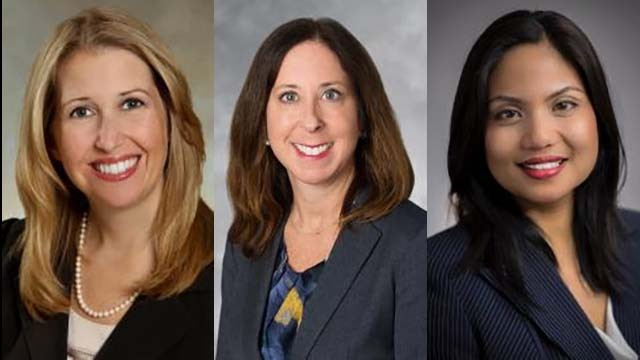 Governor Jerry Brown on Friday appointed three women to judgeships in the San Diego County Superior Court. Wendy M. Behan, 46, a partner at Casey, Gerry, Schenk, Francavilla, Blatt and Penfield LLP since 2010, will fill the vacancy created by the retirement of Judge Joan M. Lewis. Behan, a Democrat, earned her law degree from the California Western School of Law. In May, Behan won a San Diego County Bar Association Service Award, recognized for “outstanding contributions to furthering the goals of the legal profession and promoting ethics, integrity, and professionalism in the practice of law by legal education, civics education, mentoring, or service to the SDCBA,” said San Diego Metro. She has been president of the California Women Lawyers, the CWL Foundation and Lawyers Club of San Diego. Laura H. Miller, 50, a certified family law specialist and former law clerk for San Diego Superior Court Judge Harry Powazek, will fill the vacancy created by the conversion of a court commissioner position on June 21. Miller is registered without party preference. Rohanee Zapanta, 42, who has served as a deputy public defender at the San Diego County Public Defender’s Office since 2005, will fill the vacancy created by the retirement of Judge Judith F. Hayes. Zapanta — who earned her law degree from the University of San Diego School of Law — is a registered Democrat.